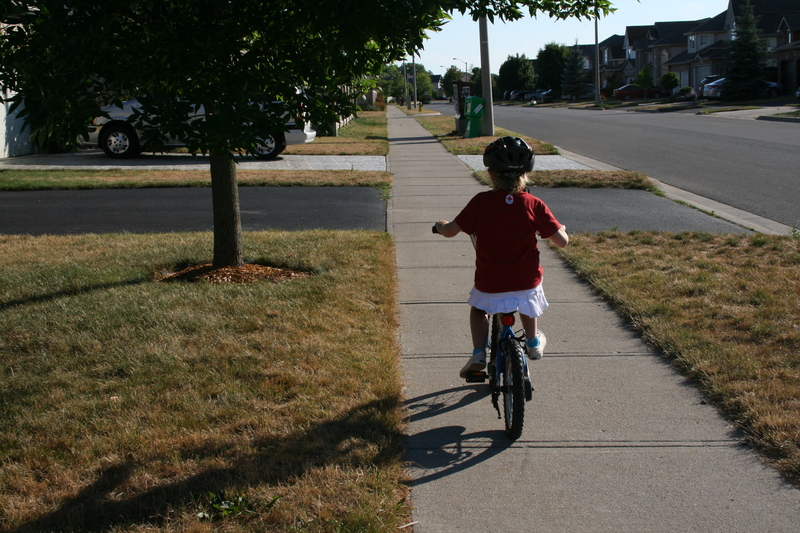 My five/almost 6-year old daughter is mastering riding a two wheeler at the moment. Today she said: “You have to look where you’re going because then your hands go there and your whole body.” Wise words that got me thinking about other bike riding and life “basics”. Look where you’re going. Basic vision sets your destination and lets you identify potential pitfalls. It’s not only knowing the general destination but also the immediate next steps you need to take to stay on track. Balance. That’s the whole trick of riding a bike isn’t it? As for life and leadership, let me know if you have mastered it. Sometimes I still teeter but I try not to overcorrect. Keep pedaling! Momentum helps to keep that balance and it’s the only way to get to your destination. Plus, the more you do it the easier it gets so “Go darling, go!”. Perseverance pays off. Signal your intentions. Sweetheart, please stop braking suddenly in front of Mom! The lesson here: If you’re in the lead, announce your intentions to avoid a chain-reaction collision behind you. The environment has enough surprises, try to minimize them for your followers. Scan your environment. Just like vision, you have to watch for potholes, cars backing out of driveways, dogs, etc. In addition to staying safe, knowing your environment lets you find cool trails and new adventures. So, my sweet girl whether you are learning to ride your bike or leading in the future. Have a great ride! ← What do Conversations, Cottages & Swimming have to do with leadership?